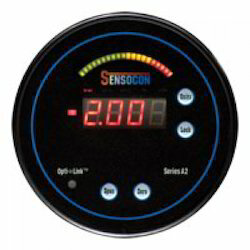 The Series A2 digital differential pressure gauge is a patented microprocessor based digital pressure gage for positive, negative, and differential measurement designed to be a direct replacement for mechanical gauges.The Series A2 differential pressure gauges utilize an extremely stable piezoresistive sensing technology to give a standard full scale accuracy of 1%. 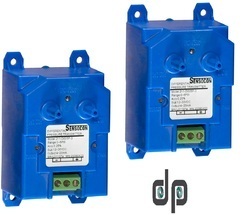 For applications requiring better accuracy, the A2 is also available with 0.5% or 0.25% accuracy. 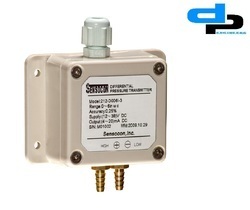 The A2 digital differential pressure gauge also has an optional 4-20 mA output for applications requiring an output signal. The A2 features a bright ½" LED display and process arch, which gives the gauge improved readability and precision. 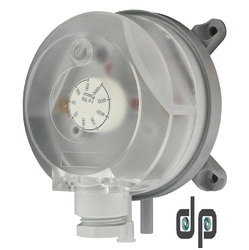 The A2 digital differential pressure gauges also feature 5 user selectable engineering units including in. w.c., mm w.c., cm w.c., kPa, and Pa. The Series A2 offers an improved look, and performance compare to mechanical gauges. 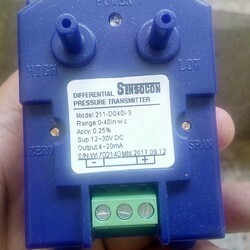 Looking for Sensocon Magnehelic Gauge Wholesale Suppliers Indi ?